Ruach, a dynamic Hebrew word, literally means spirit, wind or breath as it relates to the Creator God who powerfully and actively filled all living creatures with His breath of life. Ruach does not exist outside of God. It is our desire to honor and please the Creator through our own creations. It is the Ruach that enables us to participate in that creative process. 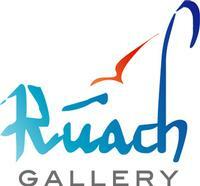 This gallery shows artwork created through Ruach to honor our Creator God.